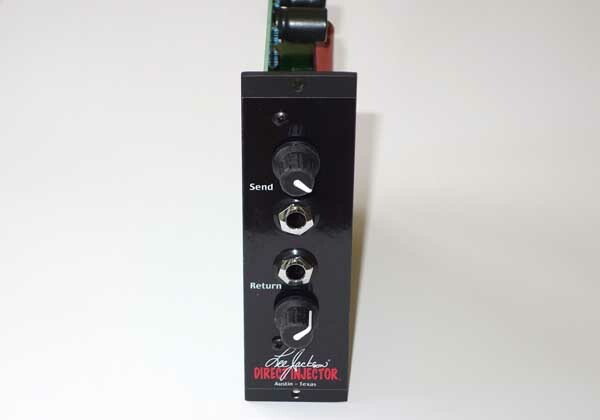 LEE JACKSON Direct Injector DI -- NEW!!! 500-Series DI / Effects Loop / Re-Amp!!! 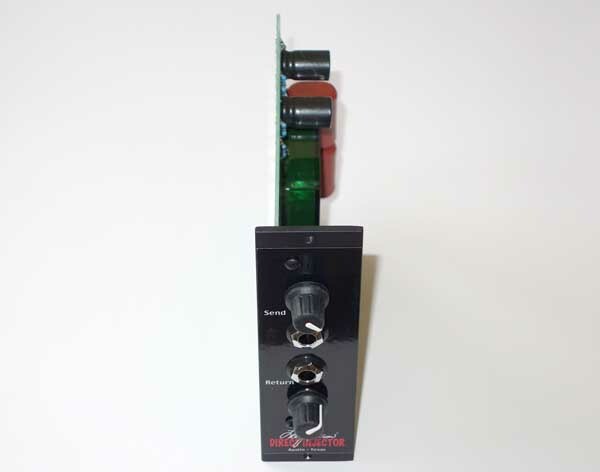 Up for consideration is a brand new (in original packaging) Lee Jackson Direct Injector studio DI module for the API 500-Steries racks. The module allows for easy access for patching in stomp boxes, re-amping, and since the unit is active even when no cable is inserted, you can also add make-up gain for a comp or a passive EQ. 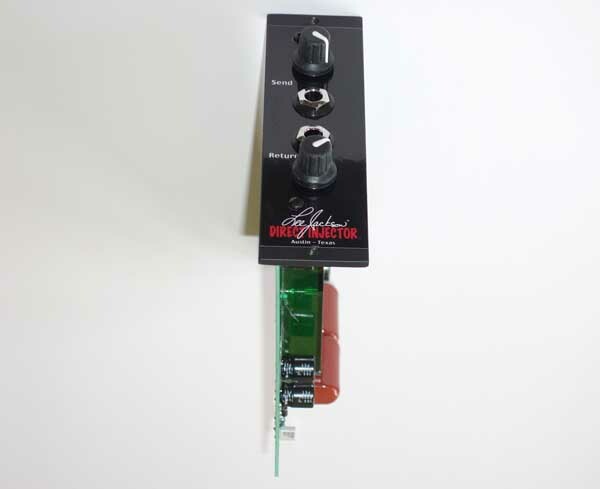 This unit is from renouned guitar amp and effects designer Lee Jackson's new line of 500-Series Pro Audio modules, and here is a rare opportunity to get a wonderful-sounding, brand new Direct Injector !!! CLICK HERE for additional 1270 DPI Hi Res photos (including the accompanting instructions / spec sheet) of this new DI, and here is some additional INFO from the Lee Jackson Website, and here are some Lee Jackson 500-Series USER REVIEWs. 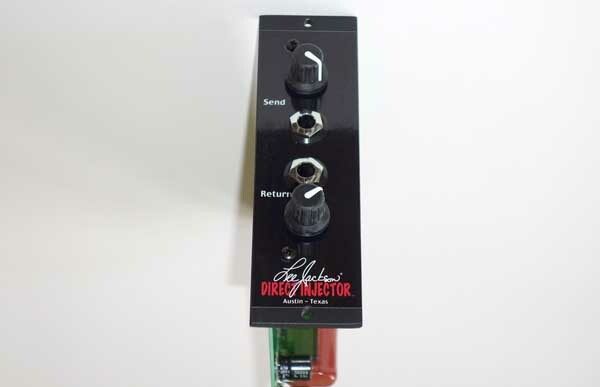 The idea behind the Direct Injector is you get an easy way to ad to your 500 Rack a 1) Instrument DI, 2) Stomp Box send/return, 3) Re-Amping, or 4) make-up gain for a passive EQ or comp -- and in a portable 500-series format, at an attractive price. USA shipping is $12.50 via FedEx Ground, with tracking, full Insurance and Signature Confirmation. Satisfaction Guaranteed, with a 3-day return, buyer pays shipping, but please ask questions first. I do accept PayPal. Thanks for looking. 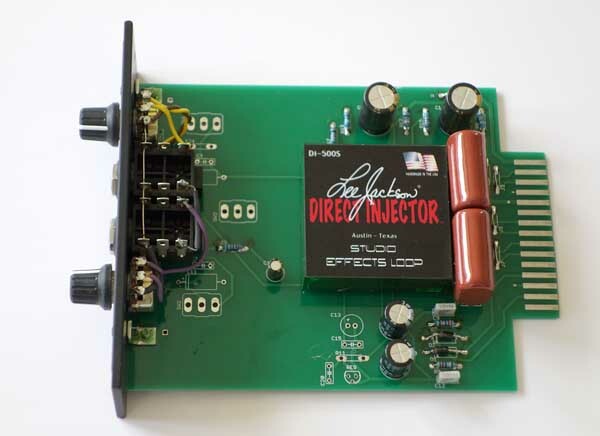 This auction is for a single Lee Jackson Direct Injector 500-series DI module (in original packaging). No other accessories are included. 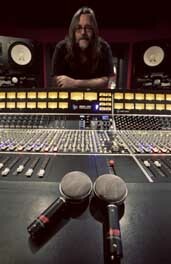 PLEASE CHECK OUT my other Pro Audio gear in Current eBay Auction, and check out some of my vintage mics that have Recently Sold on eBay.